Galaxy S7 renders suggest Samsung is barely changing anything on the outside, a mistake? At the end of last week, leakster legend Evan Blass (or evleaks as he's more commonly known) delivered once again: seemingly official renders of the Galaxy S7 and Galaxy S7 edge. While there's no way for us to confirm their authenticity, Blass' track record speaks for itself, and the renders tie in nicely with what we know. Namely: little to no changes to be observed from the outside. That's not entirely surprising. When Samsung announced the Galaxy S6 at MWC last year, we had no qualms about calling it the best-looking Galaxy S series phone yet. Especially when put next to the disappointing Galaxy S5. Still, not all is peachy, with the fingerprint magnet of a back being a top concern. While the renders in question don't actually offer a peek from behind, the front seems pretty much unchanged. The only differences we can make out are the (seemingly) thinner bezels on the sides, and the slightly larger physical home button. Everything else appears to be identical. Most people will agree that Samsung made a step forward with the design of the Galaxy S6, and so following up on it with the Galaxy S7 isn't exactly a bad thing. But with the South Korean giant struggling to keep up with shareholders' expectations, some of you may have been hoping for a bolder approach. If these renders prove legit, would you think it's a mistake on Samsung's part to stick to the design language established with the Galaxy S6 family? Is sticking with the Galaxy S6 design language for the Galaxy S7 a mistake? S6 is killer design. It is good that Samsung is sticking with it. Yep, best looking Galaxy so far. that's pretty poor design philosophy. same old same. basically the same as S2. Go back to sleep buddy. Switch00 ... Go back to sleep buddy ! I don't know what you guys are doing on a tech site like PA if you like the same old same... Go towww.Smartphonemuseum.com instead. It's their design language. Every brand has or wants to be identifiable. There are only so many designs a rectangular phone with a button can have. All the iPhones have very similar design as well as does LG, Nokia and Sony. Automobiles are the same way. You can see similarities in makes for years and years. Yes, you're right, this is a tech site, and NOT a design site. We care about performance and internals more than externals. Now, as far as looks go the Turing phone is the most beautiful phone on the market imo. Yes, the Turing Phone is quite spectacular. Now if Samsung could buy them and integrate their UI and security ftw. And I don't know what are doing on a tech site like PA if you don't know what personal preference mean. Do people really need some kind of triangle or "ball" shape(etc.) phone? or is it just you? I would wait until LG release G5 and will then make a decision. Ummm....the "S" model is a problem for the iPhone according to Android fans and most tech journalist. Even when they know it's coming, they still have negative comments that it looks the same. Samsung has now officially copied Apple's "S" model strategy. By all means, waaay better than the S5 design. I still remember those bandage memes cuz of the dimples lmao. They are adding a much bigger battery and better specs in the same form factor. And they are adding the curved back from note 5. Not to forget microSD is back. I don't see anything to complain, unless they don't apply oleophobic coating to the back. The only thing missing (I don't know) is the Pro Mode in my Note 5 with shutter speed control and RAW photos. Even s6 got the pro mode of note 5 with marshmallow. There is absolutely no reason why s7 won't have it. The oleophobic coating you can, and you said you did, apply with some back tempered glass. I will protect the phone regardless of having it or not so it's actually not a real life problem. If the same form factors are true, the S7 and S7 Edge will most likely be compatible with the Gear VR so that's another selling point for Samsung. Dont forget force touch and a killer cam. 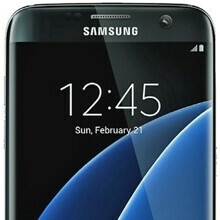 Its simply an S5 on an S6 body with feature increments of course. I have seen the latest A series (2016) - A3, A5 & A7 and felt that the back glass has some kind of oleophobic coating in addition & wasn't getting dirty like the S6/Note 5 phones' back glass. I expect this to be applied to the S7 series also.